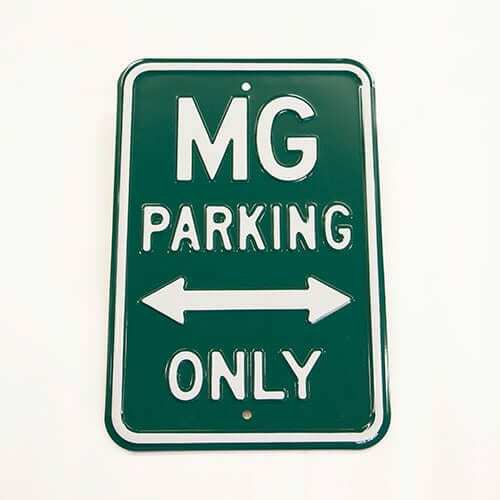 Let your friends, family and neighbours know that only MGs are welcome to park at your home or office with this novelty parking sign. Made from heavy-duty pressed steel, the sign is supplied with pre-drilled holes for simple and quick installation. Available in British Racing Green and Works Tartan Red. 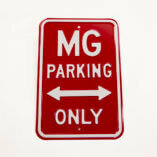 Pressed MG Metal Parking Sign. 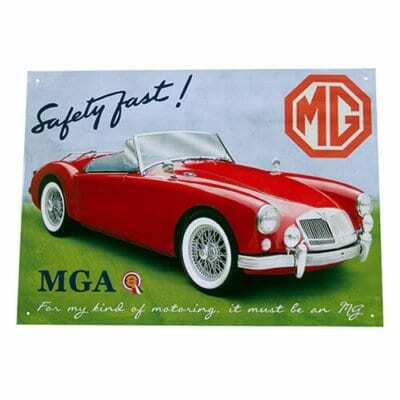 This vintage style metal wall sign, featuring an MGA, is a striking piece of art which is a must have for any MG enthusiast or even to decorate the walls of any garage or home! 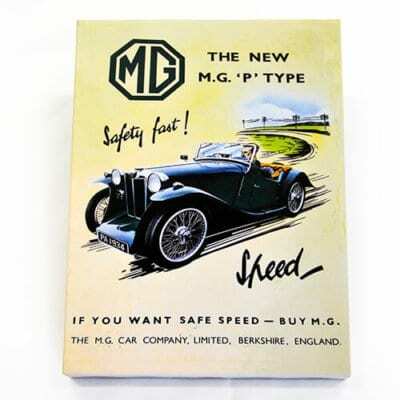 A classic advert from the 1930s used to sell the MG ‘P’ Type, recreated on a box canvas, supplied with pre-cut holes, ready for hanging. The perfect item to keep all your important vehicle documents safe, in one convenient place. 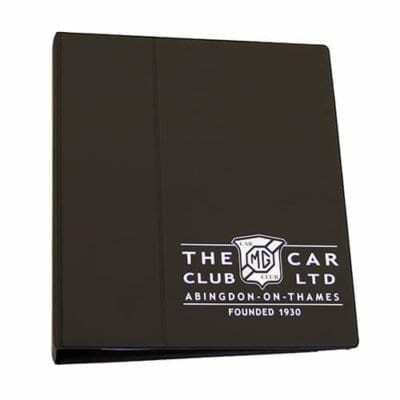 Supplied completed with dividers for items such as registration documents, service history and insurance. Also includes plastic holders for the documents as well as pockets for photographs and other items. 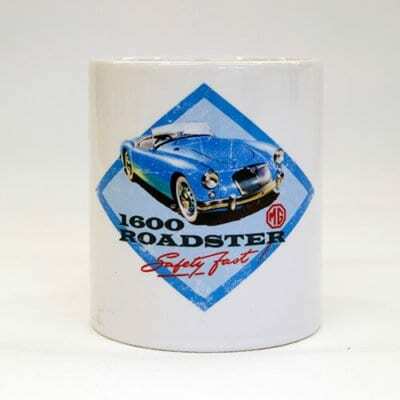 This white ceramic mug features a 1600 MGA Roadster and the Safety Fast! 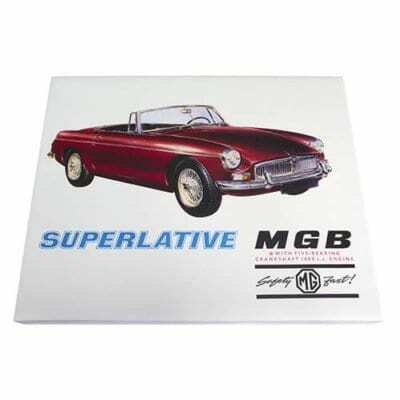 slogan, the perfect partner for a cup of MG Car Club Breakfast brew tea! 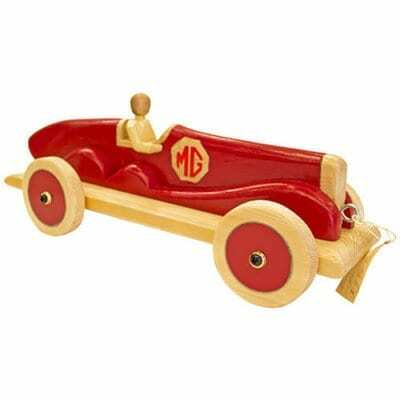 Hand-made wooden pull along toy car in the style of the boat-tail Triple MGs from the 1930s. 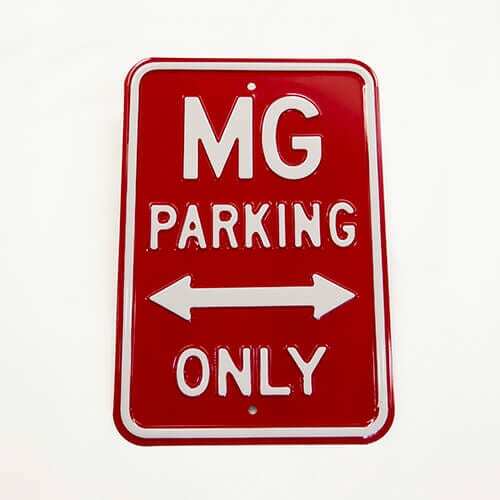 Available in a selection of MG-themed colours. Available for all ages – to play with or to keep as a part of a collection.